Bed And Breakfast1614 sq. ft.
Nuovo: The B & B, located in Palermo, in the central area, in an elegant building of the early twentieth century, in a newly renovated apartment with excellent finishes. Comfortable: Equipped with all the comforts; central heating, silent and efficient air conditioning, 42 "flat screen televisions. The B & B Pasculli is located in Palermo in Via Pasculli, 12, in a restful and very quiet area, near the Court. 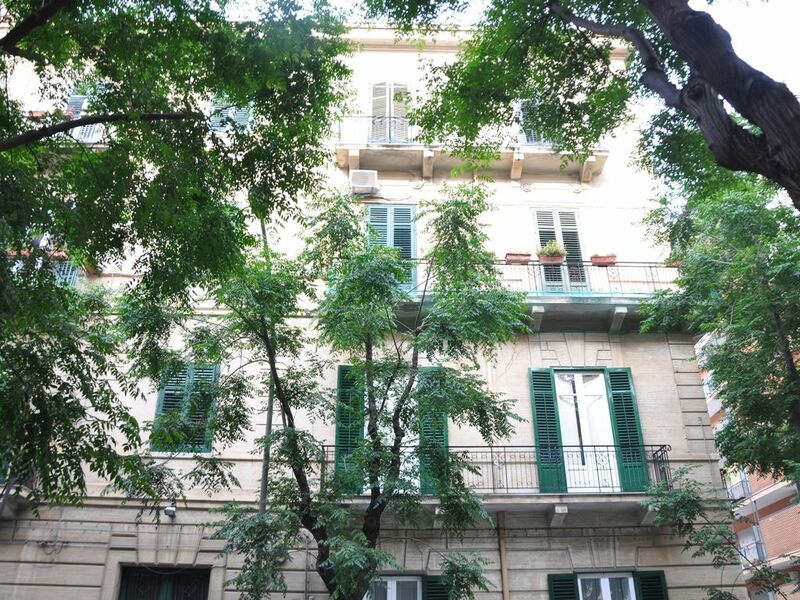 Central located between Via Dante and Via Regina Margherita, close to Villino Florio and Villa Malfitano, not far from the central area of ​​Palermo. In a few minutes you can reach the Politeama Theater, the Teatro Massimo and the most beautiful and fascinating areas of our city. In the area there are the four most important and historical markets of Palermo; ideal places for an authentic dip in the past and in the most ancient traditions of the people of Palermo: "Vucciria", "Capo", "Borgo Vecchio" and "Ballarò". The room has a ROOM IN ROOM. Equipped with a 42 "flat-screen television, independent heating and air conditioning, a large wardrobe and a comfortable desk. The reorganization and cleaning of the rooms is carried out daily. The keys to access the structure are available to the guest without time constraints. From 7.30am to 9.30am. in the dining area, spacious and comfortable, you can find a good and rich breakfast ready. Espresso, cappuccino, tea, citrus juices, yoghurt, fresh fruit, croissants, toasted slices, butter and jams of various flavors to start your day in the best possible way. It is also possible to access a charming terrace where, during the summer, enjoy our delights.